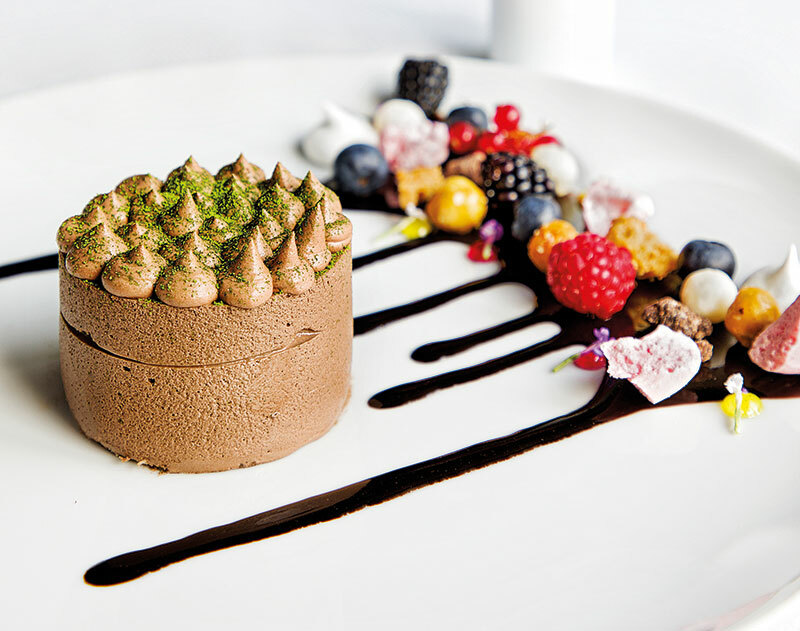 All gourmands will agree that ‘happiness is extra dessert’, and with the onset of the festive season, sinful seduction — of the culinary kind — is increasingly on everyone’s mind. During one of my recent trips to New Delhi, at the well-appointed Taj Mahal Hotel, I am presented with two artistic plates. On one, a shining dome sits proudly in the centre of rings that move outwards concentrically towards the edge of the plate; on the other, a small cylindrical mound occupies place of pride. 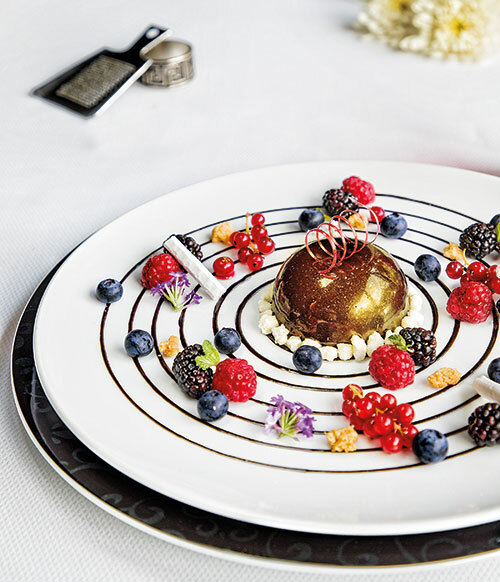 In both, a selection of berries adds a colourful element to the ‘structures’ that are made of chocolate and are gently infused with green tea. 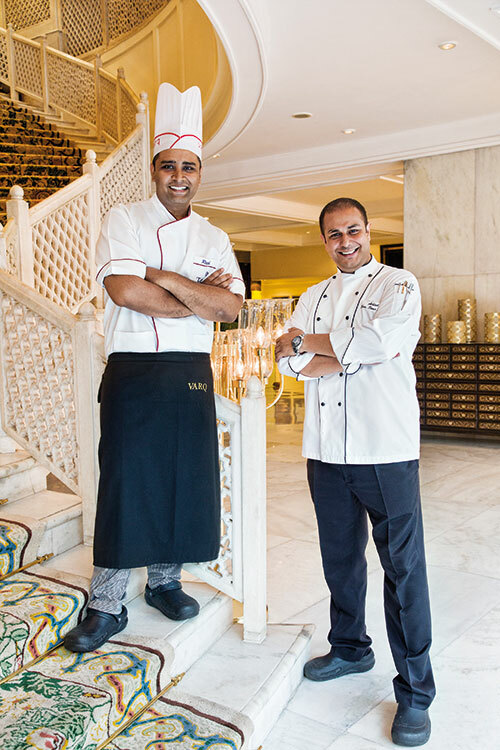 Pleasure on platters, I conclude, as I watch Chef Ashish Ugal, the hotel’s executive sous chef (now Bengaluru-based) and Chef Rajesh Singh, chef de cuisine at Varq, give their offerings the finishing touches.